Work requires our personal information. Technology connects our relationships. Every day, we’re sharing more data in more ways. The more information we share, the more we have to lose. 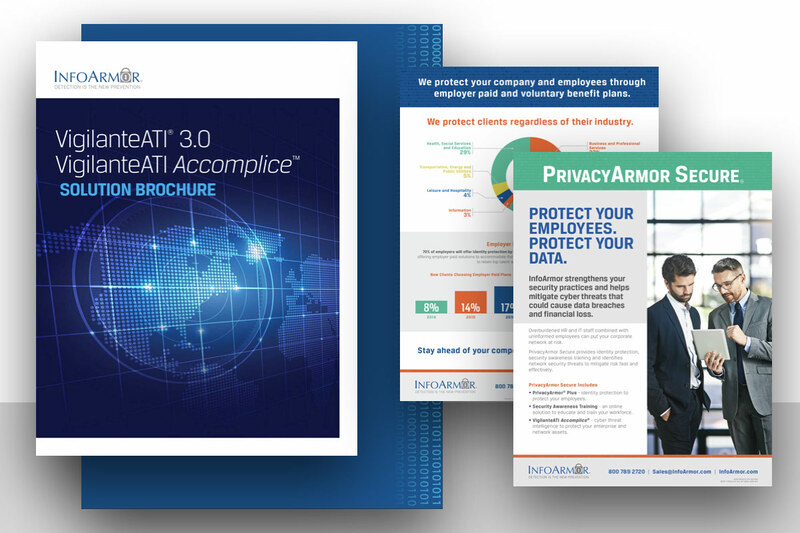 InfoArmor cannot abide the proliferation of corporate breaches, exposed customer data, and increasing victims of fraud and identity theft. It is our core belief that everyone deserves peace of mind, and we’re doing something about it — by protecting the places people work, the relationships they build, and the data they share. Not for ourselves, but for our family and friends, our colleagues and our rivals, our employees and our employers. It is a substantial — and, we think, worthwhile — goal. 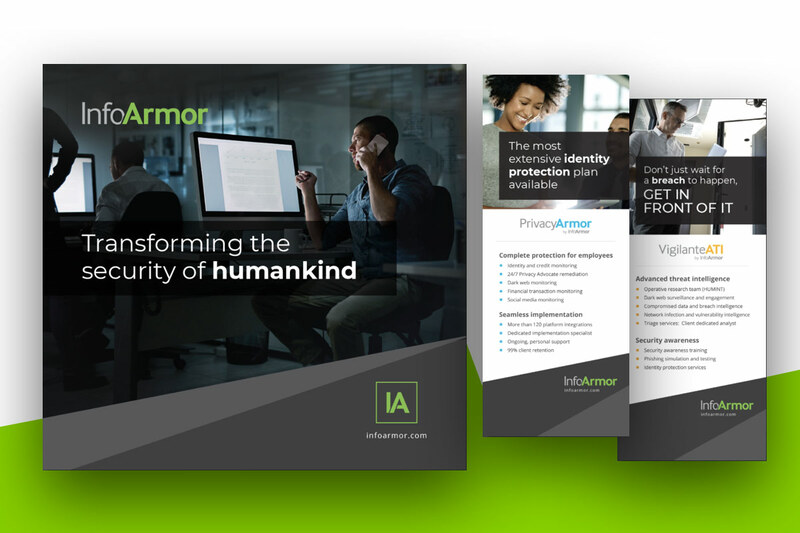 Our previous branding served us well and got us where we are today, but we felt the InfoArmor brand identity was ready for an evolution, one that matched what’s inside — our commitment to customers, our big aspirations — to what’s outside. We found that what distinguishes us is our name — InfoArmor. In an industry of locks and shields, it was time to retire our logo and stand out for who we are and what we do for our customers, not what our logo is. We discovered that with simply our name, people inherently recognized what we do, which is more powerful than any icon. In its simplicity, we found the future.